I see from the autumn publishing schedules that Paul Griffiths has a new novella being published titled Let Me Tell You. It is written in the Oulipo tradition of constrained writing, and uses only the vocabulary allotted to Ophelia in Hamlet. I know that Paul is not a composer, but he is, among other things, an authority on Stockhausen, scholar of Messiaen and librettist for Tan Dun. So, in the style of my composer as painter thread, it started me thinking about composers as authors of literary works, as opposed to music theory books and memoirs. Here for starters are two composers as authors. The most obvious one is in the photo above. 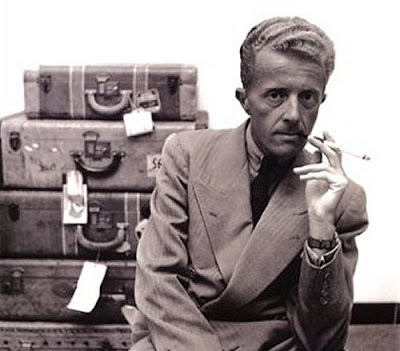 Paul Bowles studied with Aaron Copland, composed a considerable amount of music most of which was for the theatre, and wrote five very successful novels and a number of short stories. My second composer as author is slightly more arcane. The Minimal Piano Collection which was featured here last year includes on CD 4, among contributions from John Adams, John Cage and Arvo Pärt, a nine minute work titled 'Das Fragment an Sich'. The composer is philosopher Friedrich Nietzsche, who is better known for literary works which include Also sprach Zarathrusta. Those are my two starters for composers as authors. Over to you readers. When is a composer not a composer? I note this from the 2008/9 season of La Jolla Symphony and Chorus. Beethoven's moving Elegy for chorus and string orchestra begins a program that features stunning guest artist Maya Beiser performing Elgar's heartbreaking Cello Concerto. In The General, author/librettist Paul Griffiths draws a composite score from Beethoven (Egmont, King Stephen, Leonore Prohaska and Opferlied) and adds text to create a dramatic work for orchestra, chorus, and actor that tells the story of the Rwandan tragedy through the eyes of the general leading the U.N. peacekeeping mission. Pliable, I know that John Cage (and random financial walks) have been on your mind this week, but (your final question aside) it must be noted that Mr Griffiths wrote the libretto to Elliot Carter's one-act opera 'What's Next?'. I can't now recall whether or not a prequel to the opera is still planned. I guess I should also have added that Paul Griffiths was one-time chief music critic of the New Yorker. Berkeley, California composer Carter Scholz has written a fine novel, Radiance, and a good collection of short stories, The Amount to Carry. Another category is the author who also happens to compose: E. T. A. Hoffmann and Anthony Burgess come to mind. Daniel thanks for that. Carter Scholz is very interesting and E. T. A. Hoffman and Anthony Burgess definitely qualify as well. I see that Carter Scholz also realised a number of fonts designed by Lou Harrison. Ok ... how about Guillaume de Machaut or Peter Zinovieff? Another two: Bax, who wrote poems as Dermot O'Byrne, and Berners. Of course, there are plenty of composers who wrote poems or librettos for setting, whether by themselves or others. Many thanks for noticing the book, and also The General, a recording of which is being released next month on the RCA Red Seal label. Thanks Garth. Peter Zinovieff was, I think, more librettist than composer but Guillaume de Machaut was certainly a very great poet. Composers of sacred music is an obvious one. So a black mark against me for omitting Hildegard of Bingen whose three books, Scivias ("Know the Way"), Liber vitae meritorum ("Book of Life's Merits") and De operatione Dei ("Of God's Activities", also known as Liber divinorum operum ("Book of Divine Works") should be there alongside Also sprack Zarathrusta. Music knows no barriers here. So another black mark against me for missing Leonard Cohen from my list. Not only is Cohen a great song-writer. He is also a fine poet, librettist for Philip Glass and author of the novel Beautiful Losers which has remained in print for more than forty years. Fritz Hart (1874-1949), a London-born composer-conductor who worked mostly in Australia and Hawaii, is said to have written 24 novels between 1939 and 1946, all unpublished. This neglect seems a pity when the titles include 'Three Ways of Making Love', 'Enquiries﻿ — Strictly Private' and 'A Brazen Little Baggage'. Apparently, he also wrote librettos (of which Holst set one when both men were students at the RCM) and poems. What about Franz Liszt? He wrote on many subjects. Or Adam de la Halle? I mentioned Peter Zinovieff as composer because of his work composing a few computer music film scores in the early 1970s. 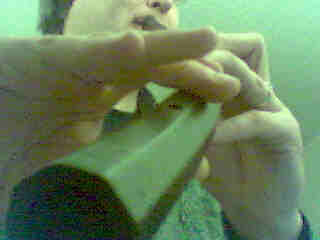 I had also just finished reading his diary entries for the summer of 1976 when his computer studio was hosting Harrison Birtwistle (who was "collaborating" with Mr Zinovieff on the computer sound design for the third act of Mask of Orpheus) as well as Hans Werner Henze, and assorted other Bulgarians and rock and roll roadies. Here is the link to Zinovieff's diary entries. Gerald Tyrwhitt-Wilson, who I always think of as Lord Berners, wrote some very funny music; he was thought of by some as the British Satie. He also wrote a novel I return to every fifteen or twenty years, alas only in a French translation because I've never found a copy of the English original: Le nez de Cléopatre, which is about the Egyptian queen and her plastic surgeon. Very funny and, I think, skillful.